Hi, I need your help for to undetstand one Gibson model. Can you say me what model is it? How can I understand if it is an original Gibson? P. S. What could be the right price for this guitar? According to the serial number that is a 1993 Gibson SG. From the pics, it has all the '61 appointments. Looks really clean and legit. "Just say NO to Richlite fretboards"
Yes it's reissue 61 but without tag.. So I prefer ask to you for understand if it is real original sg reissue 61. I'M very sorry! I have mistake button! I want push +1! It's a genuine Gibson SG. It's not a reissue though. The serial number shows that it is simply a regular USA-line instrument which has 1963-style features so don't pay reissue money for it. And I +'d Angel back up to +1 for you so that's sorted. It is a 1993 Gibson '61 reissue. 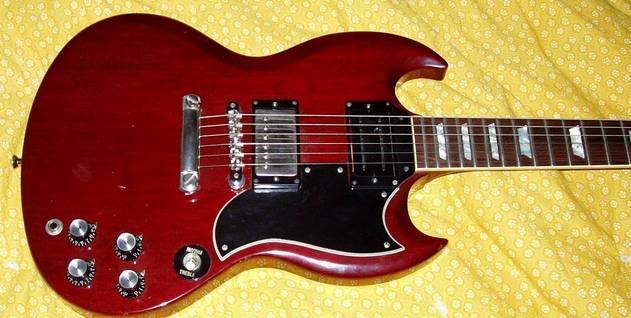 The Standard 1993 Gibson SG have the batwing (large) pickguard and the long neck joint tenon. The pictures above show the short neck tenon, and angel wing (or tear drop) style pickguard. It also has the reissue holly inlay in the correct position for the '61 reissue. Those online sites that check serial numbers will only tell you the Year/Date, Factory, and production number. They won't tell you what model it is or even if it's an SG. Just call Gibson with the serial number and they will tell you exactly what it was when it left the factory. The Serial # reads to be a 1993, early June..... but, WHEN IN DOUBT JUST CALL GIBSON CUSTOMER SERVICE in NASHVILLE, TENNESSEE, USA @ +18004GIBSON during regular business hours in Nashville. Follow the prompts and then Tell whoever you get in touch with the serial# and in seconds the model guitar in question will be ID'd as it was shipped from the factory: Original Colour, Original Pickup's etc etc for comparison to how it sits now.....GIBSON Customer Service has never failed me. For comparative pricing check out REVERB DOT COM......I looked , just for general interest,..a '61 Re-Issue...HHHMMMM., the prices are all over the place with no exact match , BUT...$2,000 ? any more than that and I'd pass! It looks legitimate but I will say those are some Weird-A$$ lookin SERIAL #'s....and its probably the flash from the camera, but still, that looks weird/funny actually. In which case I stand corrected! 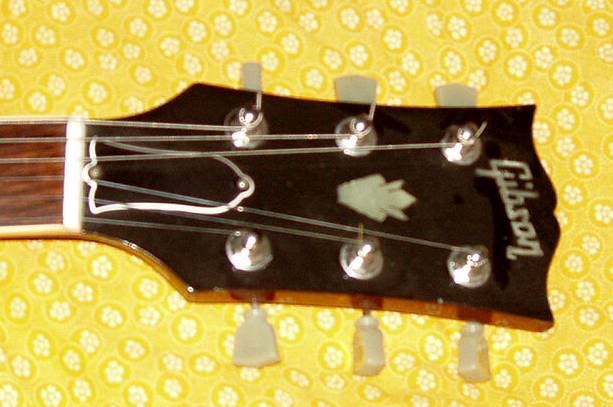 I thought that they were called simply a 'Gibson SG Standard 61' and not officially given genuine re-issue status by Gibson per se as, starting in 1993, the reissues were made exclusively by the Historic Division / Custom Shop and the presence of ink-stamped serial numbers reflected this distinction. In a similar fashion the USA-line Les Paul '1960 Classic' is frequently referred to as a 1960 reissue but it isn't one - ink stamped serial number notwithstanding. But, hey, I'm more than happy to admit that I know almost nothing about the SG variants of the last 30 years or so and could be completely and utterly wrong; I was once before so it could well have happened again. No clue what a good price is, but buy it and never let it go like I did. The one I sold 15 years ago.. and the only guitar I regret selling. until today I only had iBanez, but to play ac / dc, I decided to do this madness! Thank you for the clarification, steyen! Very nice guitar indeed. I trust you will have a lot of fun with her! You are correct, they have a Historic/Custom shop version SG re-issue and it is a different beast. It's a beautiful SG, and a bit more expensive (not necessarily a better player though, IMHO). What year is the Alpine White? Photo from the web, not mine.. 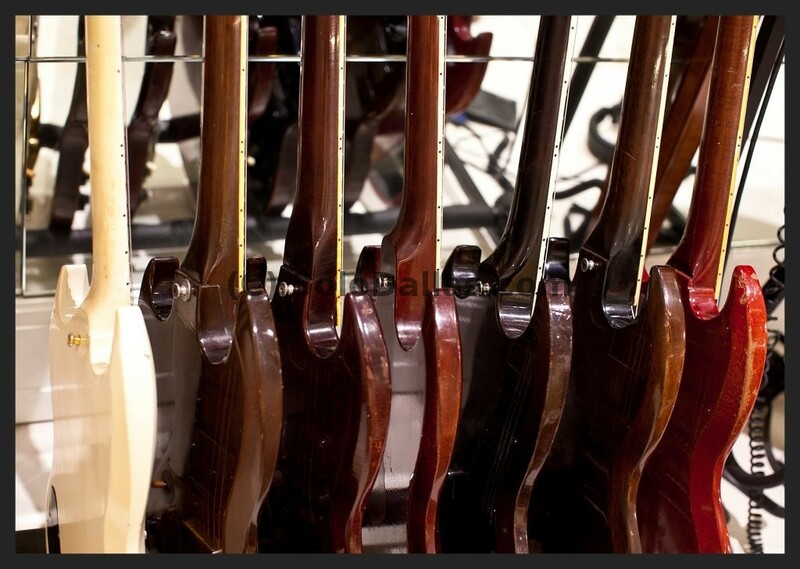 The White one looks like a Les Paul Custom "SG style" with a 61 neck joint. or tenon.